Okay, yes, I'm obsessed with fall. Yeah, yeah, yeah, so is everyone else. But as a New Englander, it feels like autumn is in my blood and I live for those precious few months of cool, perfect weather, crunchy leaves under my boots and bright blue skies against orangey-yellow trees. But the best part of autumn? The smells, baby! There is literally NO better scent than that of freshly frying apple cider donuts wafting right up into these nostrils as I walk into my local farm stand, with hanging mums and painted pumpkins as far as the eye can see. It’s like sensory overload; my nose is excited, my tummy is rumbling’ for donuts and I wanna buy every orange thing I see. Sure, you can replicate the idea through, like, a Bath & Body Works candle or whatever (no shade - Yankee Candle Hot Apple Cider is life-changing), but making your own festive fall treat is so worth the time and effort. 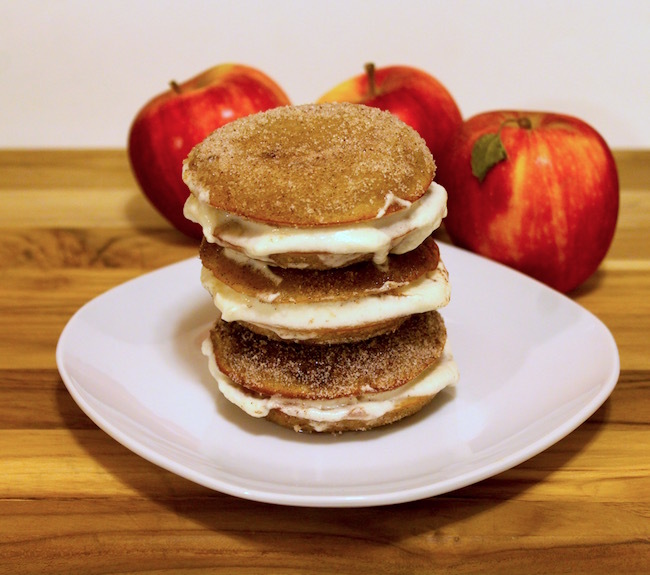 I wanted to try my hand at homemade apple cider donuts, but then I thought, “why stop there?” and decided to create this recipe for apple cider donut whoopie pies with apple cider whipped cream filling because I go for it. Won’t you come with me? 3. 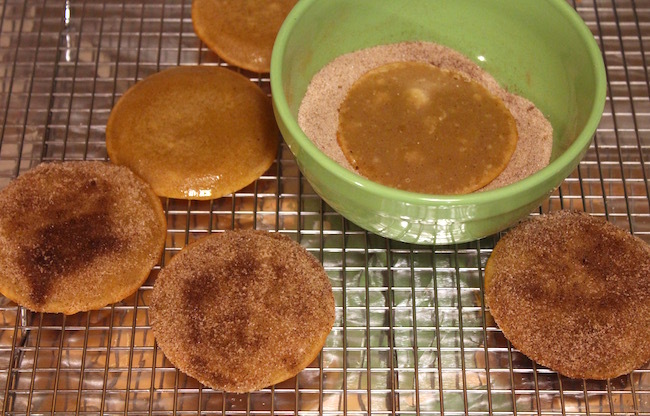 In a small saucepan, melt butter, then stir in apple cider, brown sugar and honey. Set aside to cool. When cooled, stir in eggs. 4. In a large bowl, mix flour, baking powder, salt, cinnamon and nutmeg. 5. Combine wet ingredients with dry ingredients. 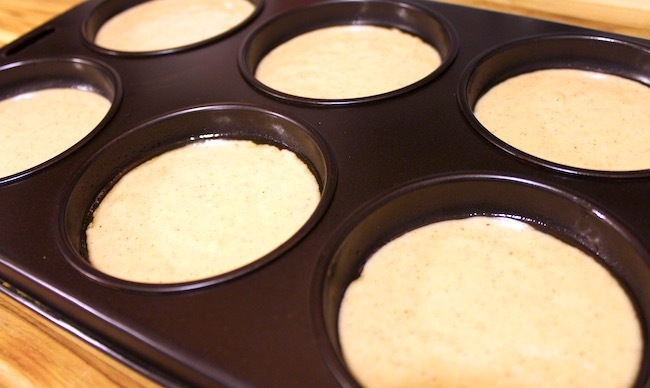 The batter may be slightly thin, so you can add up to 1/2 C of flour more if needed. 6. 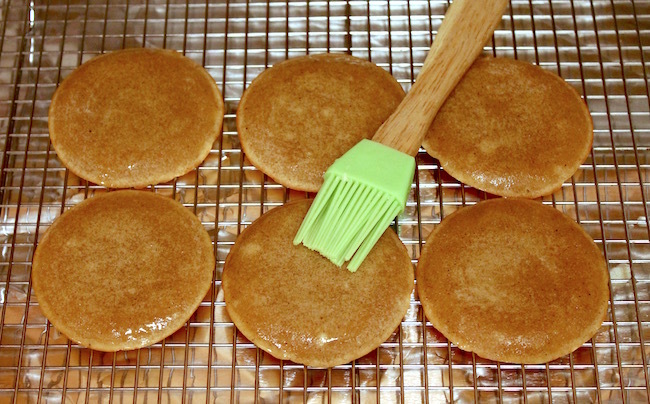 Pour batter into a pastry bag or a large ziploc bag and cut off the corner tip. 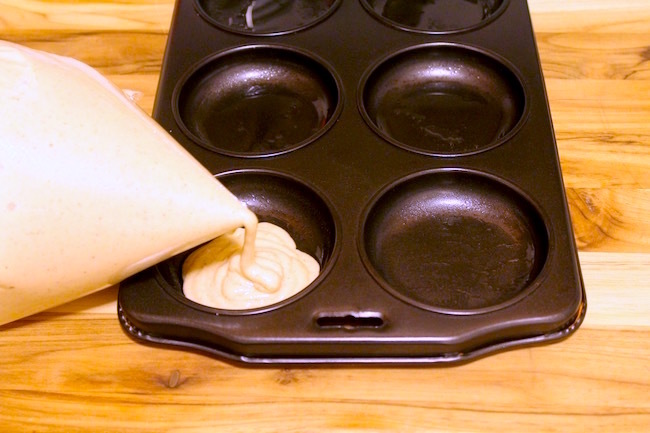 Pipe the batter into a greased whoopie pie pan or, if you don't have one, pipe the batter straight onto parchment paper in shallow circles about 2 inches apart. 7. 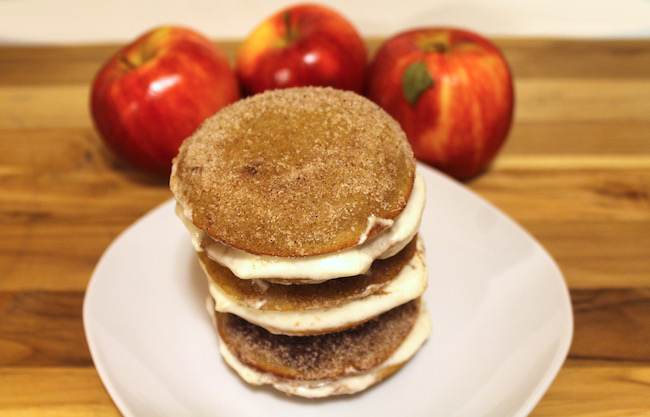 Bake the cider donut whoopie pies for 6 minutes or until golden. 8. Remove from the pan and cool on a wire rack. 9. 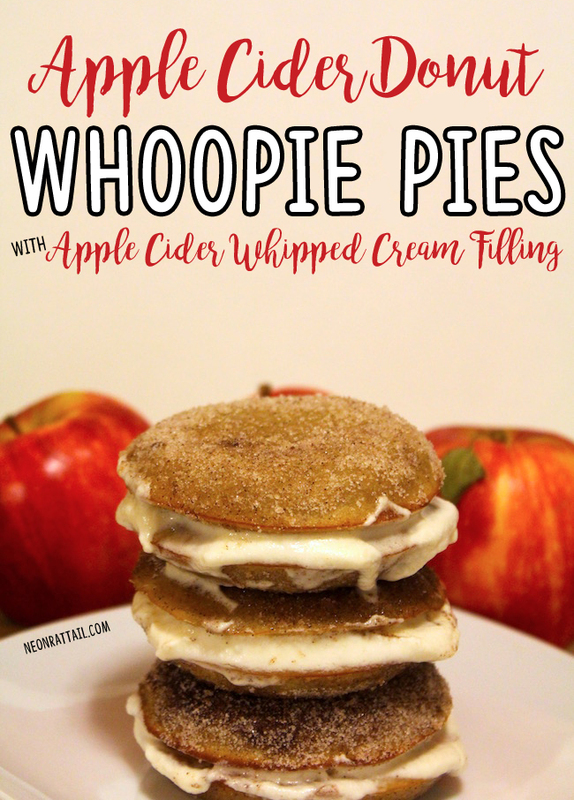 To make the topping, combine the melted butter and apple cider, then either paint it on the tops of the whoopie pies or dip them into the mix. 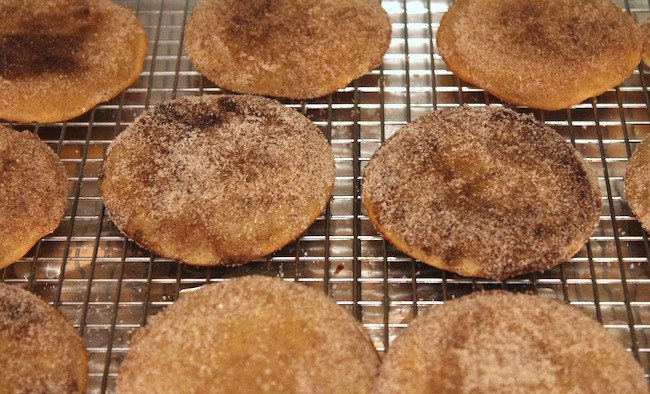 Next, roll the moistened whoopie pies into the cinnamon sugar to coat. 10. To make the whipped cream, add cold whipping cream to a large bowl, stir in apple cider, vanilla and sugar to taste (you can take a little taste to check the sweetness/flavor before whipping). 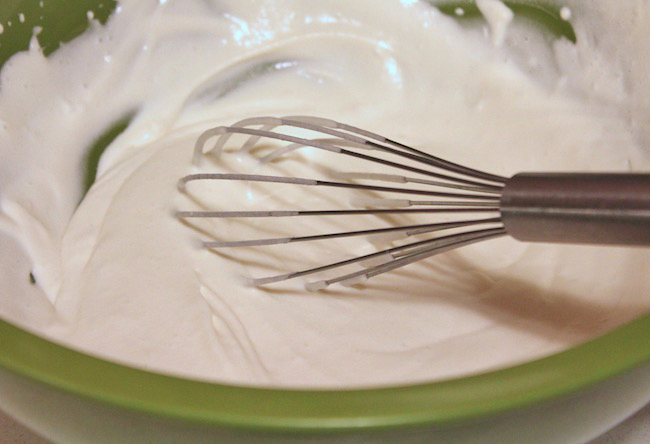 Using a hand mixer, stand mixer or just a good old fashioned whisk, whip the cream until it thickens. You'll see it transform in stages - from liquid to goopy to soft billows to ultimately soft-yet-firm whipped cream. 11. 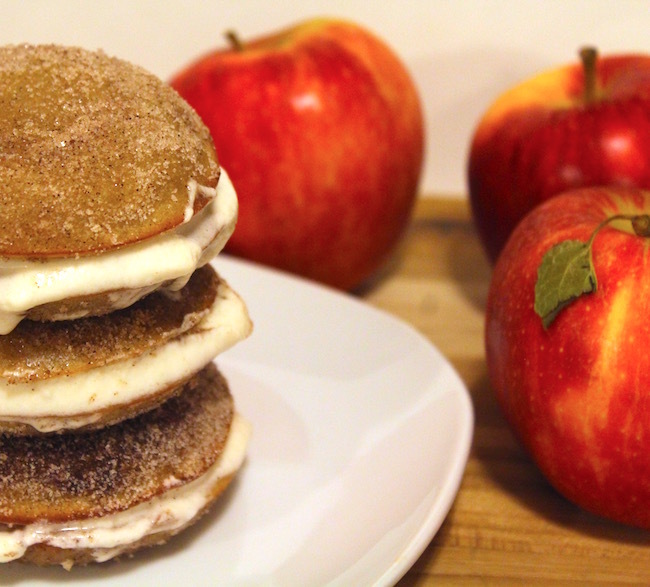 When the whoopie pies have cooled, scoop apple cider whipped cream onto one pie and top with another, toppings sides out. What's your favorite fall baked treat? What kinds of flavored whipped creams have you ever made or tried?